Man, do I love this book. This was Jeff Smith’s first serious foray into the world of mainstream superhero comics, and it’s a doozy. 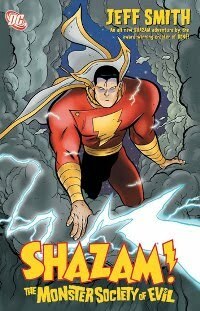 It’s a retelling of the original Monster Society storyline from the original Shazam stories of the 1940’s, but there’s absolutely no need to know anything about that comic, or even the character, to enjoy this book. It’s the story of Billy Batson, a homeless boy who eventually stumbles upon a wizard that tells him a magic word that gives him superpowers. And there’s a talking tiger. And a little girl who can fly. And awesome monsters. So pretty much everything you could ever want in a comic book. This is a classic adventure story that every comic loving parent should be happy to share with their kids. Jeff Smith’s artwork pops off the page like I’ve never seen before (or since). Fun and wonder pervade every panel. Starman is considered one of the very best comics DC published in the 90’s, and upon rereading, I think I’d have to agree. With some qualifications, but there’s general agreement. It’s the story of Jack Knight, an antique and collectible dealer who also happens to be the black-sheep son of a retired DC superhero. When Jack’s brother is killed, and their city is targeted by his father’s arch nemesis, Jack is forced to put on the mantle of his father, and reluctantly becomes Starman. This is an epic story of a hero’s journey. It’s also the story of an antique dealer trying to rebuild his business. And the story of a family of cops trying to deal with an almost impossible legacy of service and duty. And the story of an immortal villain trying to reform. And the story of a gay alien trying to find his lost race. Yep. There’s a lot to digest. And James Robinson does his best to pull it off. Some storylines work very well, but others (Specifically Jack’s space adventure), fail miserably. Occasionally the plots bite off a little more than they can chew, and introduce too many concepts at once before resolving pre-existing stories. It also requires a pretty serious knowledge of DC history. But in regards to character development, this thing is a beauty. Very few mainstream comics can carry the emotional resonance that Robinson brings to his characters here, and it’s a testament to Robinson’s vision for Jack Knight that DC hasn’t touched the character since. Probably the biggest question I had while rereading these trades was how I could have ever liked them in the first place. 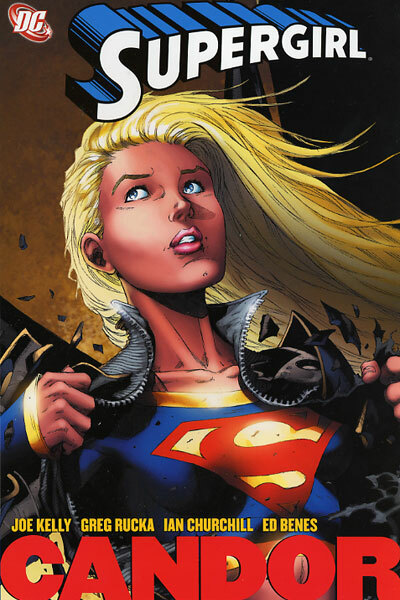 This is DC’s latest version of Supergirl, and I don’t think I’ve seen a more obnoxious, unlikable, bland character in a mainstream comic book. 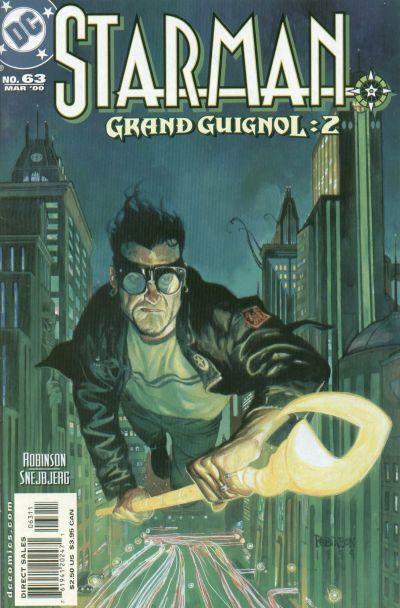 I’m not sure what Jeph Loeb was thinking here, but “writing a good super-hero comic” wasn’t it. 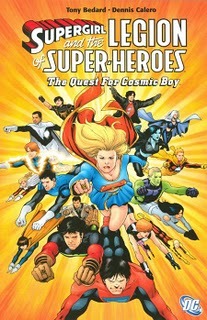 The character shows up out of the blue, and is instantly put through a series of big adventures, meeting pretty much every character in the DCU in a short space of time. There’s nothing to grab onto here, either from a story perspective or a character one. The book does pick up the pace a bit when Joe Kelly takes over the reigns, but it’s not enough to save what was well on its way to a masterpiece in mediocrity. I can’t speak for the quality of the book these days, but I hope that it improved considerably. I’ve written about Mark Waid’s Legion run earlier, and this was essentially the continuation of that series, with the addition of a time-lost Supergirl. unfortunately that didn’t seem to do anything for the book other than to further water it down, and any edge or freshness the book once had was quickly lost. It’s not a bad run by any stretch, but there’s really nothing special here, and so they have to go. This entry was posted in Comic Books and tagged DC comics, Shazam, Starman, Supergirl. Bookmark the permalink.